If you drive through Southeast D.C., you now have a new route option for your commute. 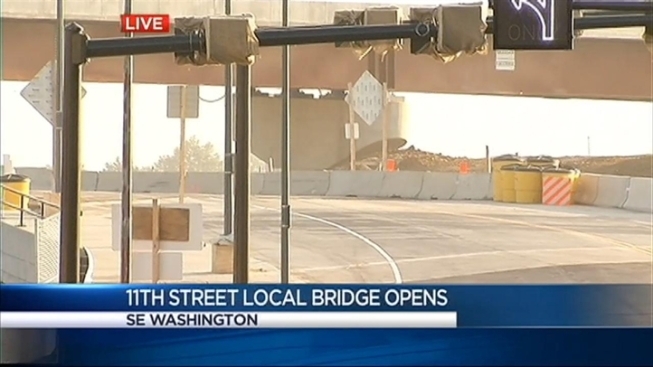 The 11th street local bridge opened Thursday, and it provides a direct link across the river between historic Anacostia and the Navy Yard area. Because of this, the 13th street access ramp from Anacostia to the 11th street freeway bridge will be permanently closed after rush hour on Thursday morning. News 4's Megan McGrath says to expect traffic delays in the area as people get used to this new pattern.